What is the right coolant for you? 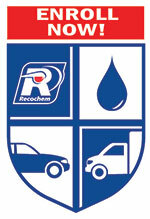 Today’s vehicles can be complex and it is important to use the right Coolant to protect your vehicle’s cooling system. With several coolant technologies and colours available, you can trust the Coolant Experts to help you select the right Coolant for the job. \\ WHAT IS ENGINE COOLANT AND WHAT DOES IT DO? An engine coolant is a heat transfer fluid designed to remove excess heat from an internal combustion engine. It also serves to prevent freezing and most importantly protection from corrosion. An operating engine typically converts only one third of the energy derived through the combustion of fuel into work that moves the vehicle.